This week Zimbabwe hosts the Innovation Africa Conference. 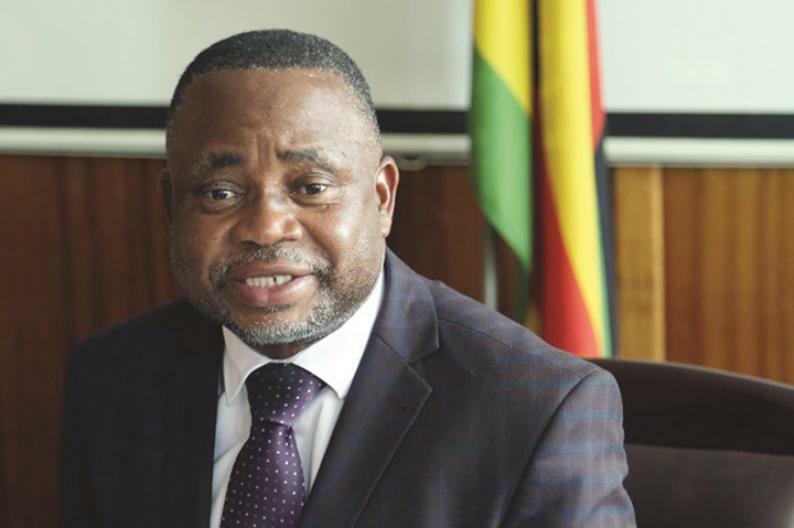 The Sunday Mail's Rumbidzai Muparutsa spoke with Primary and Secondary Education Minister Professor Paul Mavima about this pivotal and what it means for the country's education sector. Q: What is the rationale behind the Innovation Africa Conference? A: The reason behind it is that we want to bring the spotlight on Zimbabwe, especially the education sector. We have been talking about our vision to transform education in Zimbabwe and shape it in line with digital developments. ICT in education is the way of the future and is responsible for a number of developments in education. It makes teaching easier, but also the learning of ICT prepares our learners for the jobs of the future just by being able to use the computer. We are also saying our learners should be able to do coding, which is programming development software. Our teachers need to be aware of ICT approaches to delivering especially our competence-based curriculum. The Innovation Africa Conference will run at Harare International Conference Centre from November 28 to 30 and will bring the biggest international players to Zimbabwe. It was held in Mozambique last year and will be hosted by Ghana in 2019. This time we will talk about how we can transform our education system in line with models that have been developed by companies like Microsoft and the likes. Those countries that are doing so well offering high tech jobs have embraced these models and we also want to do the same here in Zimbabwe. The second reason is the fact that we are hoping to develop agreements with some of the companies since some of them bring in technology that will, for example, enable us to achieve internet connectivity in all our schools. We have started discussing with Microsoft on an MoU that will give us affordable technology to reach even the remotest parts of the country. The vice-president of Microsoft is coming to Zimbabwe and at the end of it all, we will be in agreement then we will move forward with the deployment of internet services in our schools. We also want these companies to consider setting a shop in Zimbabwe. We want to be their regional hub and then from here they can expand into the rest of Africa. This is the model Singapore used to develop itself. They set themselves as the regional hub of big multinational co-operations then expanded into South East Asia. We hope we will plant a seed, to get one of these companies to say we are setting up in Zimbabwe. Q: Is the connected to the innovation hubs that have been introduced in Higher and Tertiary Education? A: We are excited about what has happened in the Ministry of Higher and Tertiary Education and Science and Technology Development, where almost all our universities are now technology or innovation hubs for high-tech start-ups. This conference goes behind start-ups, however. This is saying Zimbabwe is open for business and we are attracting international players in the ICT Industry. We are saying come and see us in Zimbabwe, set up device or service centres or maybe a training centre for teachers in the region in ICTs and Educational Transformation. So, we are attracting already established international players. What we are promising as Zimbabwe is we have the potential to produce the human capital that is needed as international ICT companies setup and develop in Africa. The hope is to attract at least one big international company to set up shop in Zimbabwe and that becomes the magnet that also pulls other international players. Q: Who is attending the Conference? A: It is almost every major ICT company you can think of. We are talking of Intel, Microsoft, Lenovo, Portuguese company JP which developed a niche for providing affordable devices, Cambridge with E-learning, Classeva from the Middle-East, amongst other major players in educational transformation. Q: Critics say the majority of conferences and workshops in Zimbabwe are merely talk shops because they produce useful recommendations that are never implemented. How is this conference different? A: For starters we are already in a discussion with Microsoft on a MoU on disruptive technologies to provide Internet to our remote schools. We are also looking at issues of rolling out Microsoft 365 in schools, so there is a something of a practical nature that is being discussed. JP is supplying us with devices, but we want to find out if JP can come and set up in Zimbabwe for those devices to be manufactured here. There is an organisation called Education Development Trust which is coming to the conference, by Monday (tomorrow) they will be discussing with our ministry officials from all the districts on an inspection workshop so that we can come up with a template for inspecting our schools. This is a working conference, we talk in the morning and the afternoons are reserved for bilateral discussions which can lead to deals. Since (Innovation Africa) started eight years ago, it has yielded $460 million worth of investments in Africa. In some countries it has led to the setting up of manufacturing industries for devices and we want the same for Zimbabwe. Q: The Ministry of Education has been on a drive to embark on so many initiatives without giving a chance for those embarked on before to yield their results. What is your take on this? A: The initiatives that we have started during my tenure as Deputy Minister and now as Minister of Education have all been implemented and are yielding results. The biggest one was the introduction of the competence-based curriculum which is now being mainstreamed. In addition to that, I have been on a drive to digitalise the education system in Zimbabwe and I am happy to report to the nation that we have now reached an average of above 50 percent province by province of digitalisation. We are implementing what we said we would, we have delivered teaching material for the competence based curriculum. We have started building schools with OFID supporting the building of 17 schools and we have finished feasibility studies for 100 schools. We are now moving to establish a financial facility that will allow us to bring in the private sector funding so we can build on a large scale, hoping to start with 100 schools next year until we reach our target. We have been an implementing and achieving ministry, aiming at equalising opportunities for all of Zimbabwe's learners and making sure that we bring the education of Zimbabwe into the 21st century.